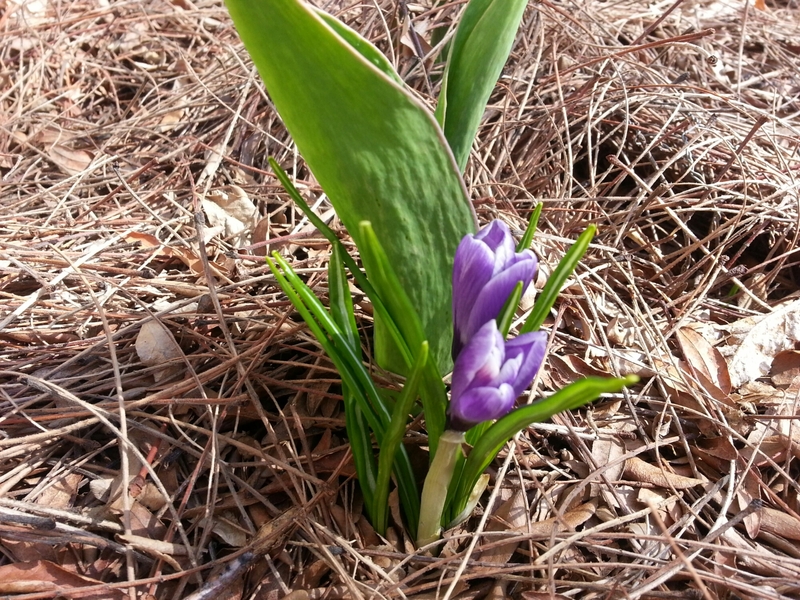 The crocuses I bought last fall for $5 at Aldi have started to come up. The first two bloomed today. Now, that’s a bargain that lasts. Thanks! That was all nature's work. I could barely see what I was doing with the camera because of the sun glare. But who minds the sun when spring is in the air?